Below, our Pennsylvania injury attorneys explain what acts may constitute medical malpractice and describe the elements of a lawsuit. Additionally, we also discuss how damage caps are treated in medical malpractice claims in Pennsylvania. These laws limit the amount of compensation that medical injury victims and/or their families may recover. However, every case is different, so if you have a specific question about medical negligence, do not hesitate to ask the lawyers. Otherwise, consult our local listings to find an attorney near you. What Are Medical Malpractice Damage Caps in Pennsylvania? Many states limit the amount of compensation you can recover from a medical malpractice lawsuit. However, Pennsylvania currently has no caps when it comes to compensatory and non-economic damages. 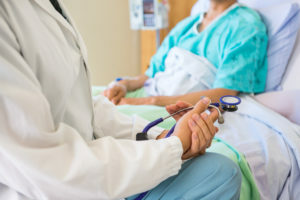 This means that state medical malpractice laws do not limit how much a court can award you for these types of damages.